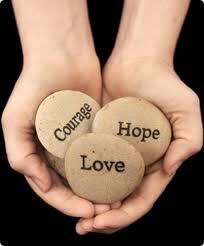 One of NCFI values is integrity. In the Old Testament the word conveys the meaning of simplicity, or sincerity of heart and intention, truthfulness, and uprightness (Internationalstandardbible.com). An example is found in God’s edict to Solomon: “You must serve me with integrity and sincerity, just as your father David did” (1 Kings 9:4). In the New Testament there is no exact Greek word for integrity. Instead translators use “pure of heart” and “sincerity” to imply integrity. In apostle Paul’s instructions to Titus “Show yourself in all respects to be a model of good works, and in your teaching show integrity, dignity, and sound speech that cannot be condemned…”(Titus 2:6-8). These two verses provide biblical teachings on integrity. A nursing philosopher described integrity as: “a whole undivided, fully integrated and complete individual in whom there is consistency of views and actions; what they say and what do are one.” Nursing uses professional practice and nursing ethics to guide and measure a nurse with integrity. As Christians we are encouraged to not only upheld integrity as a member of profession, we are to model our actions and words after the son of God. Jesus Christ lived an exemplary life replicating the virtues of God the Father. We live out Christian integrity, when our actions are congruent with what we say and believe. Some thoughts to reflect on when exploring integrity in your professional nursing are: Do you act, speak, and think in accordance with biblical teachings? How does your nursing replicate the teachings of Christ? An excellent verse to guide our thoughts, actions and words is Philippians 4:8, “Finally, brothers and sisters, whatever is true, whatever is worthy of respect, whatever is just, whatever is pure, whatever is lovely, whatever is commendable, if something is excellent or praiseworthy, think about these things. Take time to reflect on integrity in nursing, praying for Holy Spirit to guide you in truth and righteousness (John 16:12). 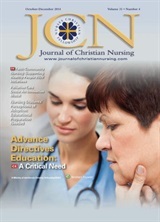 I am currently working on an article for my column Christian Nursing 101 in JCN on Servant Leadership in Nursing. I thought it would be great to hear from YOU! What are you thoughts on servant leadership in nursing? Is there a Bible verse that speaks to you about leadership? What are the necessary components of servant leadership? Please comment on the blog or fill free to send me an email with your thoughts! p.s. Feel free to check out the column by clicking on the link and finding Christian Nursing 101 under “Topical Collections.” You need a subscription to read individual articles.